He went and did it. Mr. Prevention bought a jet ski last Sunday. I just had a hunch when he left the house “to go look at” a used jet ski he found online. He’d been texting with the guy for several days, trying to set-up a time to meet up. I just knew when he walked out, he wasn’t coming home without an unnecessary new water toy. As soon as my phone rang an hour or so later, I knew exactly what he was going to say. Granted, getting a jet ski was my idea from last summer…you know, when I wasn’t pregnant. Also, buying a jet ski with only 4 weeks left of summer, the timing is…less than optimal. I also wasn’t surprised when he spent much of Monday afternoon and evening getting the jet ski registered and insured and all that jazz. Of course, he then had to test drive the jet ski and while he’d planned to be home at 7pm…it didn’t happen. Dinner was ready, but Mr. Prevention was MIA, jet skiing around Lake Michigan doing his thing. I’m 7 months pregnant, Mr. P. Remember, happy wife…happy life. And hungry wife who comes home from work to make dinner for just herself? Not happy. Now, the jet ski is taking up *my* parking spot in the garage and he’s gone out each night to buy something new — a tube and rope for tubing and life vests…in every possible size. Is this his way of “nesting”? To get everything out of his system before baby Shea arrives in a few short weeks? Let’s hope. I’m trying to be patient and wait out the newness of the jet ski, understanding that sadly, summer is coming to an end sooner than any of us probably care to think about. But, I am sick of eating dinner alone. Especially when I make KILLER meals. In a medium bowl, mix together the burger ingredients until well-incorporated and use your hands to form into four patties, about 5 inches in diameter each. Preheat grill to 400 F. Grill burgers 4-5 minutes per side or until cooked through, flipping halfway through. Meanwhile, heat olive oil in a large skillet. Once hot, add the onions and cook 4-5 minutes or until softened. Add the bell pepper slices and cook 15-20 minutes or until very tender and slightly caramelized. Mash the avocado with the salt and pepper in a small bowl. 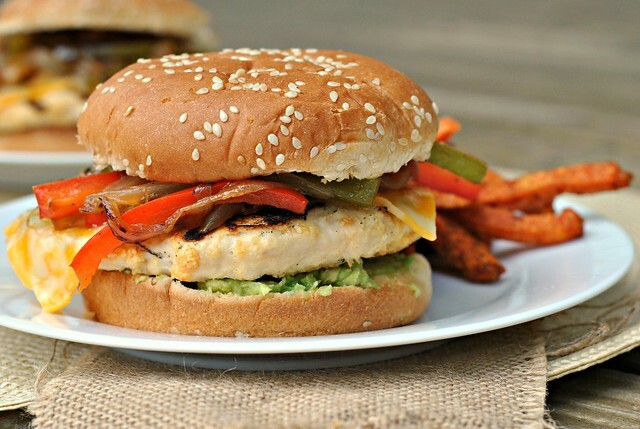 To assemble, spread avocado over the bottoms of each bun. Top with burger, cheese, and pepper mixture. Serve immediately. 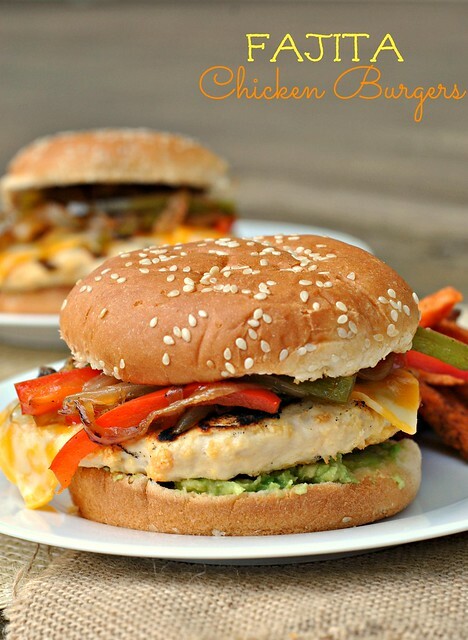 My family loves chicken sandwiches and we also love fajitas… putting them together is genius! 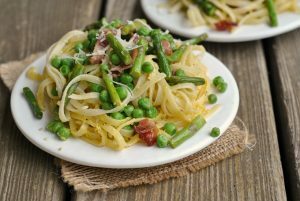 I’m adding this to the dinner rotation!! Thanks for a great recipe! I hate it too when DH arrives late for dinner because he is reminded of some task that popped into his mind just after I sound the dinner gong. I am so tempted to simply take away his plate and clear out the dinner things. But he always has a valid excuse when comes to the dinner an hour later. Anyway as you said his loss. 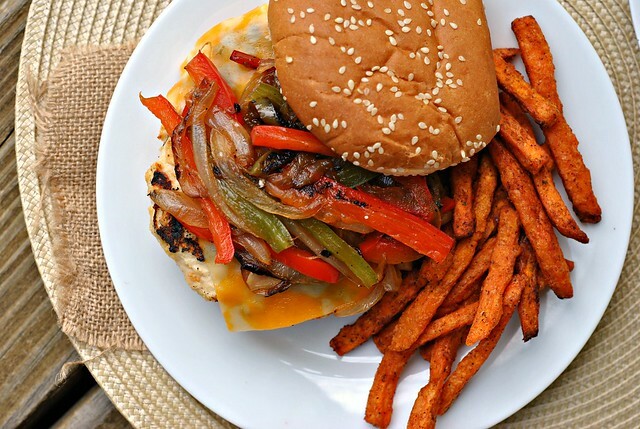 BTW, that fajita burger looks super delicious. My best wishes for baby Shea. As soon as I saw that you posted that picture on Instagram, I knew it was going to happen. No one just does “some research” on something and doesn’t buy it. At least it’s not as bad as my friends husband – he buys CARS and brings them home! I got an email from your publisher who is letting me do a write up about your cookbook next week – I LOVED the dedication – I remember all the work you and Donna did together – seems so long ago, doesn’t it?! p.s. I am looking away from all the onions! Any ideas on a better bun? Would pumpernickel be any better? Rye? 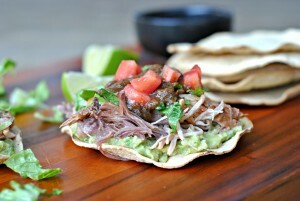 Or possible those new ones that look like pitas nearly? 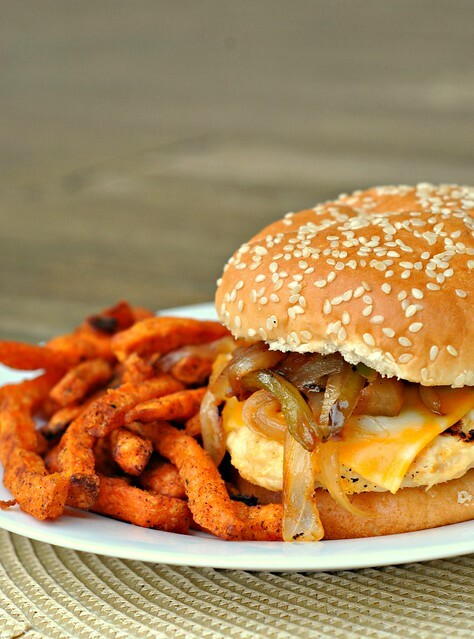 The entire thing looks so good, especially with those sweet potato fries, I found some spicy chipotle ones at the store recently that I think will pair great with this. Healthier yes… but also would pair well with the many tastes going on there. I suppose I could buy a couple different kinds and try many! Thank you for the response! Amazing !! Whenever I have time, I make your recipes. They are delicious. The total calories- does that include the bun? I’m cutting calories and basically have found that cutting unnecessary carbs is the trick!